Here are some other pictures for you to view. This is a chicken tracktor and what you do is to crank the boat wintches until the coop is clear of the ground then add a couple 6' 2x4s then push it around. This is a fully divided coop. i have rhode islands on one side and jersy giants on the other. 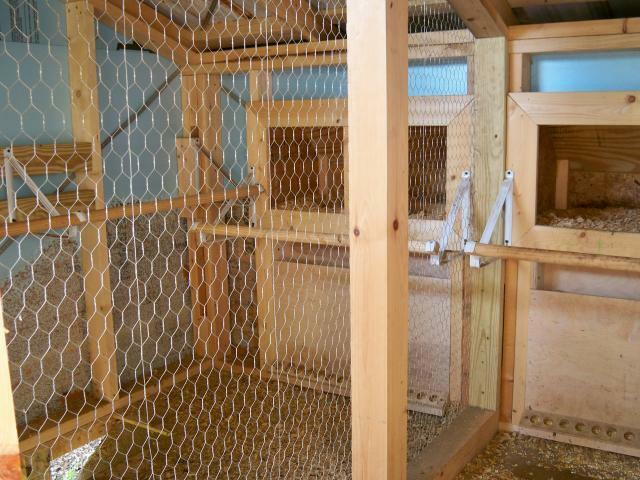 Here is the back where i collect the eggs. 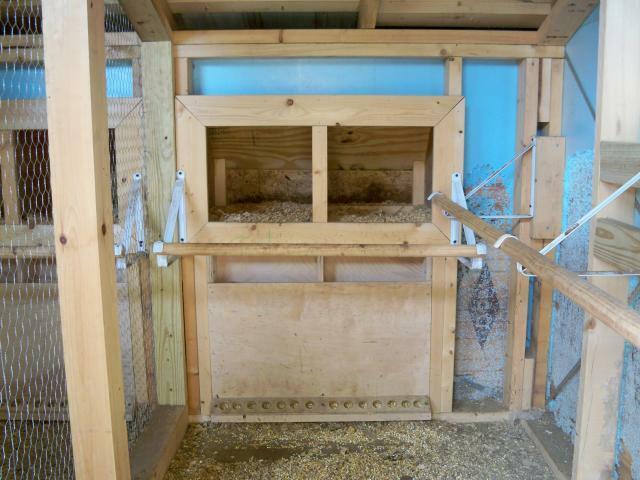 This it the rhode's side 2 nesting boxes and two autofeeders. Next time i will board off the insulation foam so the chickens won't eat it. Crazy chickens. This is the pic of the divider and of course the giant's side. Same as rhode's. 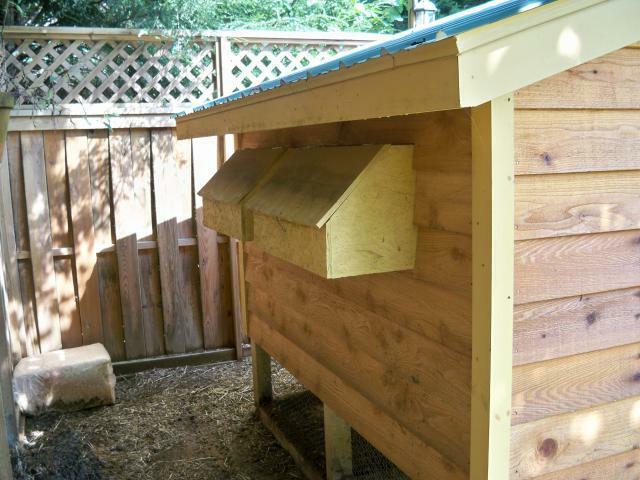 "Neat "coop tour"; not a "how to""
Good build. Better with more pics and plans. Great build, but needs more pictures. Some construction details and plans would be awesome. I would LOVE more details on the design, please; especially how the boat winches work!! Thanks. Beautiful coop! I love the design. 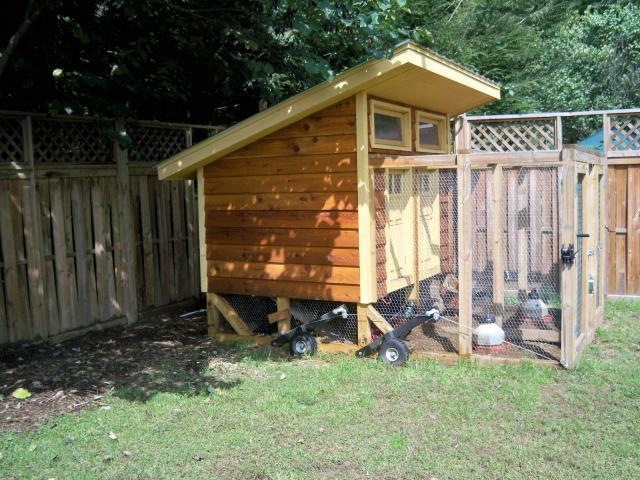 Did you use plans to build your coop or did you design it yourself? If you used plans, do you mind telling me where you got them? I like the idea of having two different sides, and I also like the passive solar type design. i kept 1 roo and 4 hens per side. 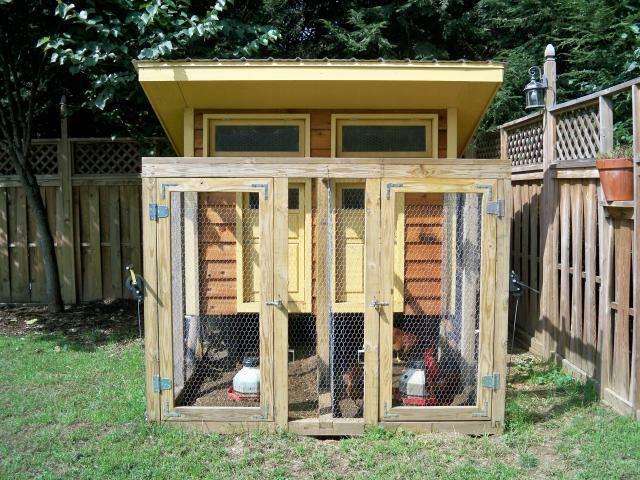 how many chickens do u keep in there around 4 or so?